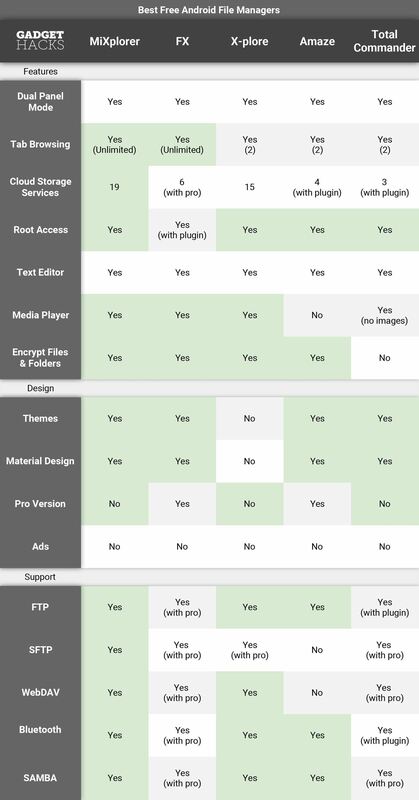 One of Android's biggest strengths, when compared to other mobile operating systems is its open file structure. 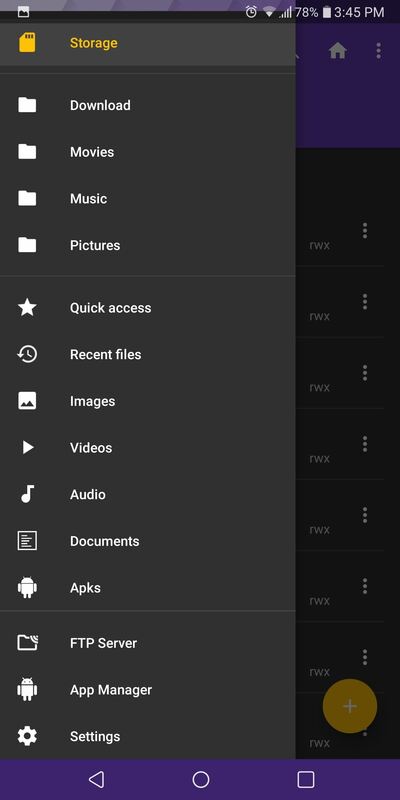 Google introduced a built-in file manager with Marshmallow that provides basic file management, but like with most apps on Android, there are alternatives. Third-party file managers are readily available, providing deeper access and control of all your files. But there are many file browsers on the Play Store, and finding the one that works best for you can sometimes be a hassle. To lend a helping hand in this regard, I'll compare the top five free Android file explorers below. Dual Panel Mode: The ability to use split screen mode while in landscape, providing a copy of the file manager on both sides that works independently. This mode allows for easy movement of files and fast navigation. Tab Browsing: Similar to Dual Panel Mode, a copy of the file structure will exist on another tab when in portrait mode, providing easy movement of files and faster navigation. 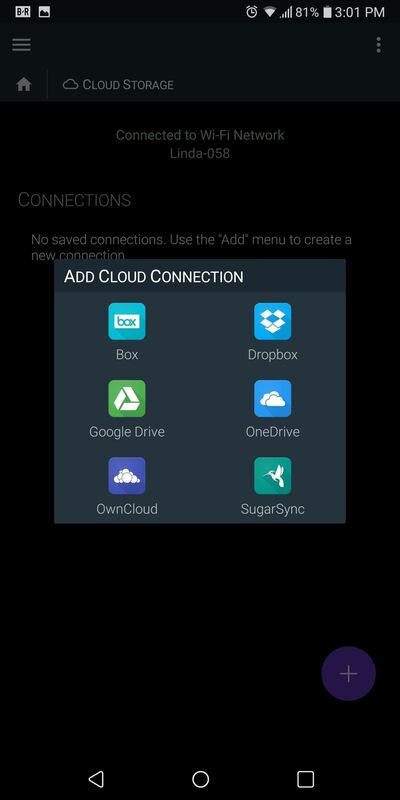 Cloud Storage: The ability to access cloud storage options such as Google Drive and Dropbox from within the app. 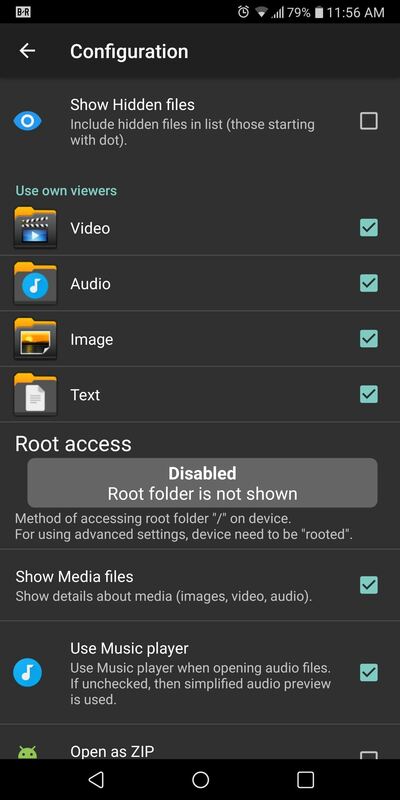 Root Access: Provides access to the root folder, and if your device is rooted, you can make modifications on this level. However, be careful when working in the root folder, as changes can cause the phone to malfunction. Text Editor: Contain the ability to edit text files. Useful for developers and programmers, but also helpful for performing build.prop edits on a rooted phone. Media Player: Has a built-in media player for playback of video, images, and music. Great for testing files. 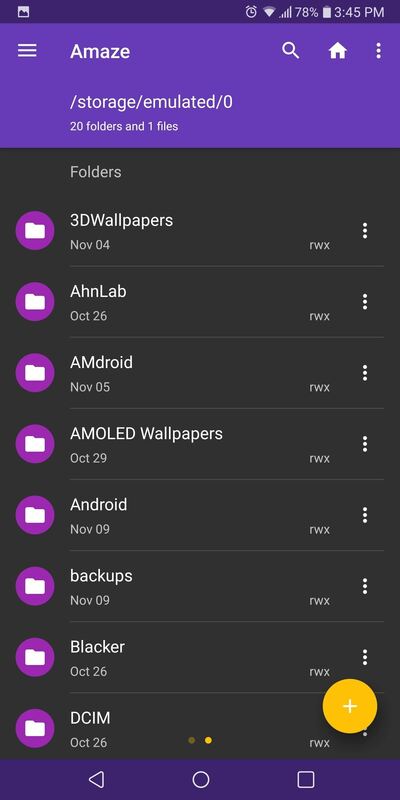 Encrypt Files & Folders: Google switched to file-based encryption with Android 7.0 Nougat, allowing for individual files and folders to be encrypted instead of the entire local storage. Some file managers have added this feature directly, allowing users to control which files or folders they wish to encrypt. Themes: The ability to alter the overall look of the file manager. This can include color schemes, fonts, and much more. Material Design: Introduced with Android 5.0 Lollipop, this design language was created by Google to help developers to implement a uniform design in Android apps. Apps with this design are typically easier to use and visually pleasing. Pro Version: Has paid version which hides some features behind a paywall. Ads: Includes advertisements within the app. FTP: File Transfer Protocol is a popular method of sending files among network devices. SFTP: Secure File Transfer Protocol is the same as FTP but uses SSH to provide encryption so your files are transferred securely. 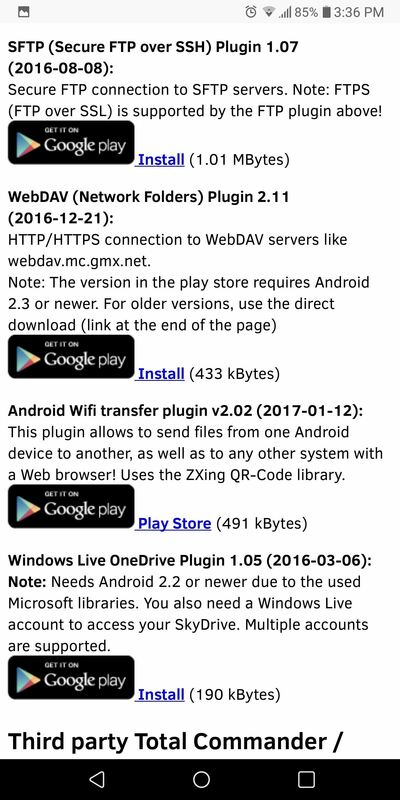 WebDAV: Web Distributed Authoring and Versioning is a web-based protocol that allows for the creating, moving and modification of documents on a server. Bluetooth: A popular wireless technology that can be used to exchange data between devices within a close proximity of each other. SAMBA: SMB is a protocol used for providing access to files and printers that are shared on a network. One of the most complete file managers, MiXplorer offers a lot without asking anything in the form of payment. Unlike the others on this list, MiXplorer provides free access to the largest amount of cloud storage. It supports USB OTG without additional plugins, allows for unlimited tabbed browsing, and offers support for FTP, SFTP, WebDAV, and Bluetooth. Both folders and files can be encrypted individually. Plugins are available for additional support, such as archiving and Samba support (Samba supports cost $1.49). Buttons are customizable wherever present, with MiXplorer allowing you to adjust their arrangement and add (or remove) buttons to your liking. 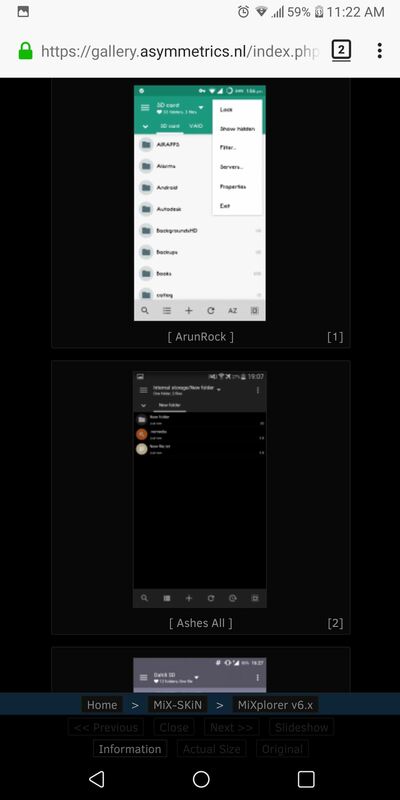 All the buttons in the toolbar (along the bottom of the screen just above Android's navigation buttons) and even the media controls for the built-in video player can be adjusted. 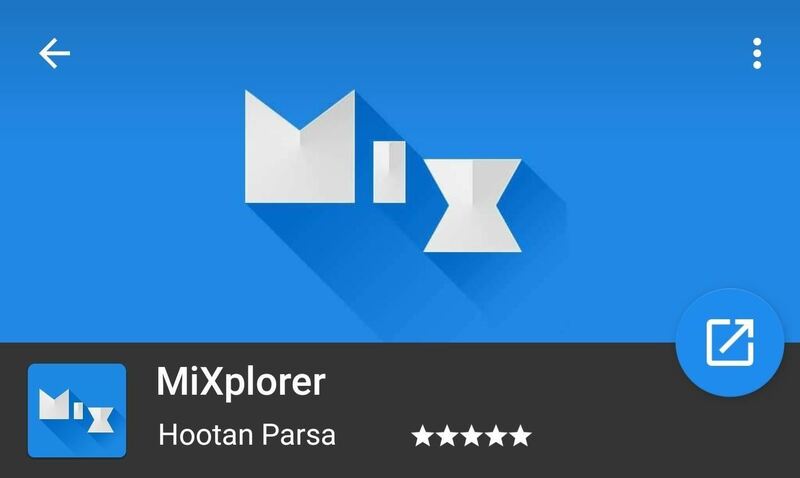 MiXplorer does have its flaws. Its most glaring issue is its unavailability on the Play Store. Currently, the best way to obtain the app is downloading XDA Labs, then installing from within the app. However, for many users, this method might prove to be too troublesome. MiXplorer also isn't the most attractive file manager, especially in comparison to the next two on this list. It does use Material Design but focuses heavily on simplicity. Customization is possible with skins and themes. Skins normally modify colors and font parameters (such as bold or italic), while themes change font type and appearance of icons. Although this separation provides better control, it can prove to be more difficult than it should be for many users. However, despite MiXplorer's flaws, if you are willing to obtain the app, this will be one of the best file managers you'll ever use. FX File Explorer provides a clean design that helps new users navigate the various menus without the need for an in-depth tutorial. Themes are present, allowing users to choose one dominant color that will define the overall look of the app. However, a custom trim color can be chosen to change the colors of the buttons separately. 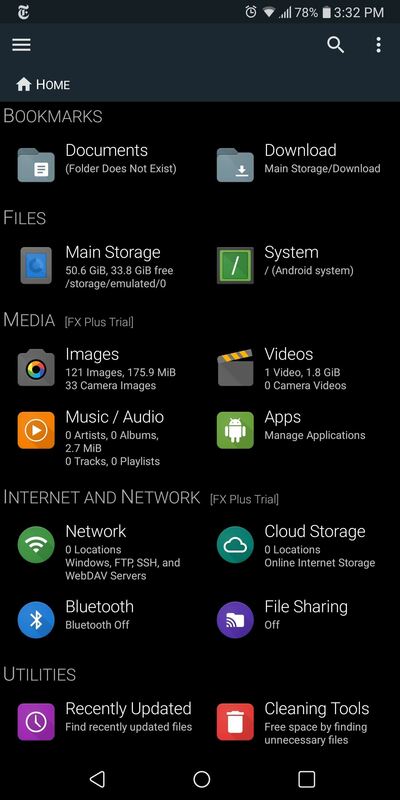 FX File Explorer does have a paid version which includes a number of features, such as access to cloud storage. 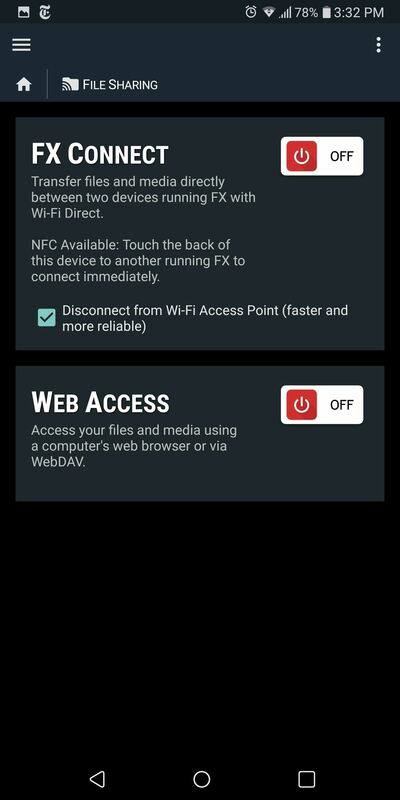 FX Plus (the paid version) also provides access to FX Connect (file sharing using Wi-Fi Direct), FTP, SSH, and WebDAV functionality, and access to your files via any web browser (a feature only found in one other file manager on this list). First-time users will get a free trial of FX Plus for seven days, but after it expires, will be required to pay $2.99. FX focuses heavily on privacy. There are no ads whatsoever. Unlike ES File Explorer, it doesn't track user activity or send any mysterious communication to other countries. Gestures are supported, such as swipe down for dual panel mode which improves workflow, and the root folder is accessible via a free plugin. FX handles more archives and file types than any other app in this list—basically, any file you throw at it, it can open. 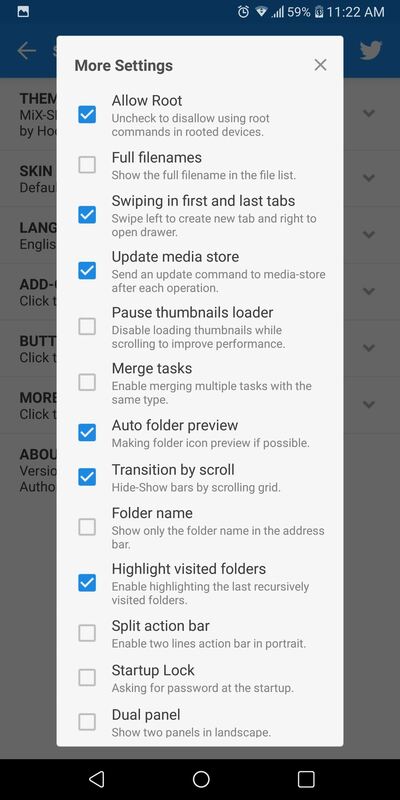 A side navigation menu allows you to easily switch between open folders, and a swipe-to-select gesture makes batch operations a breeze. You can even attach most of the common cloud storage services and network drives, but these features require that you purchase the pro version. 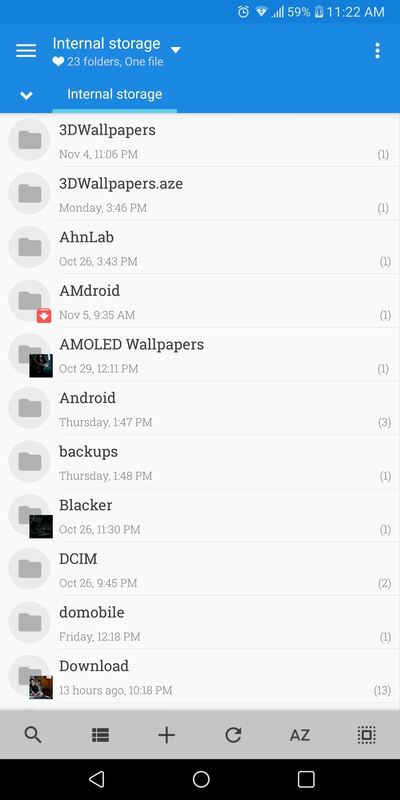 X-plore File Manager is a solid file explorer if looks aren't important to you. Although its design is subjective, my assumption is most won't find the appeal in the Windows 95 look. Theming is limited to a dark or light theme, so overall, you are stuck with the look. The app opens automatically with two tabs to make the movement of files easier. Each tab has its own list of accessible storage which can be modified using the "Show" button at the bottom of this list. While there isn't a way to add additional tabs, there's a dual panel mode when using your smartphone in landscape for a similar experience. An app manager is present, providing options such as the ability to share APKs or open them as an archive. There is also a media player for videos, music, and images. Unique to this media player (compared to the other file manager on this list) is the ability to use subtitles for video files, although it requires a donation to use. X-plore has the second highest number of accessible cloud storage, with none requiring additional payment. X-plore also comes with built-in USB OTG support. File transferring using SFTP and Wi-Fi are among the few features requiring donations. Encryption of files using a double ZIP file (where one encrypts the data and the other encrypts the name) and accessing files from a browser are other features requiring a donation. Overall, X-plore is a great app with a unique design and limited tab browsing. However, with the majority of its features being free, this is a great file manager for any user. 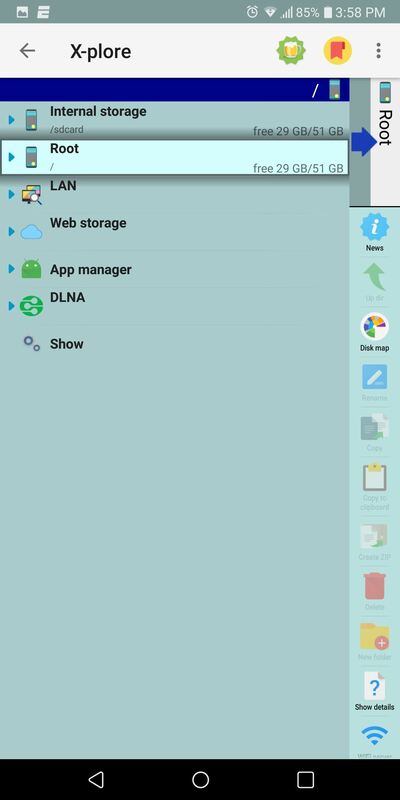 Amaze File Manager is another well-designed file explorer that is easy to use. The file manager opens with two tabs for easy navigation, but you're unable to add additional tabs. Quick Access provides a list of popular file types (such as videos and images), which when selected, will consolidate all files of that type into one screen. Encryption is possible for individual files and folders using your fingerprint, which makes decrypting files easier. It also has a root browser and an app manager. The main issue with Amaze is what it's lacking. Cloud storage isn't accessible in the free version unless you pay $1.99 for a plugin. However, unlike the others on this list, the choices are limited to four. There is no WebDAV or Bluetooth support for file transfer, and there's no media player for viewing music, video, and images. If you're fine with these limitations, the rest of Amaze's features and its overall design make it a great choice as your next go-to file browser. Like X-plore, Total Commander's design is unique but a little confusing. The buttons along the bottom are not well defined, making it difficult to know their function. The theming menu isn't cohesive and might prove to be difficult for some users. You can change between light and dark themes and choose colors for both the foreground and background, but without any instructions, users are left to trial-and-error to figure out what each option does. Total Commander employs tab browsing similar to most of the file managers on this list by presenting you with two tabs automatically without the ability to increase. Dual panel mode is also present for landscape usage. Total Commander provides all the support you'd expect from a file manager, including FTP, SFTP, WebDAV, and Samba (including SMB2). However, all require individual plugins, which are free but add steps to using these features. Cloud Storage is the same way, with each storage requiring its own plugin. 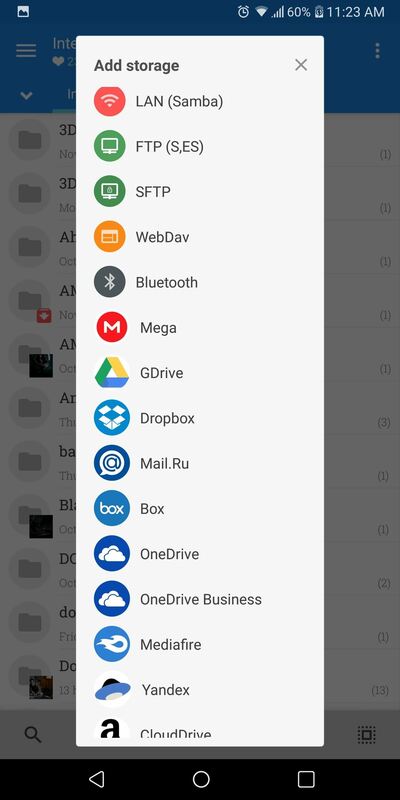 Cloud storage is limited to just two options officially (Google Drive and OneDrive) with the Dropbox plugin being in beta. A media player is present but doesn't support images. And unlike every other file manager on this list, encryption isn't possible. Although Total Commander has more features than Amaze File Manager, its combination of poor design with limited cloud storage and plugin requirements puts it at last on our list. However, that doesn't make it a bad choice — it's still in the top five, after all. 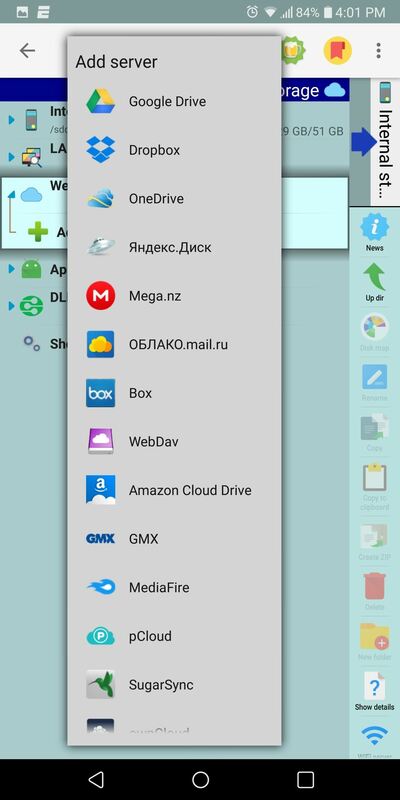 We didn't include ES File Explorer on this list because of the adware issue it has. We at Gadget Hacks pride ourselves on protecting our readers, and therefore, can't recommend a free app that may be sending your information to another country. Solid Explorer was also not included because even though it's listed as free on the Play Store, this is only a fourteen-day trial and requires users to pay $1.99 afterward. Also, it may have lost support from its developers as no new update has occurred since June of this year, and attempts from users to contact the developers have so far been unsuccessful. 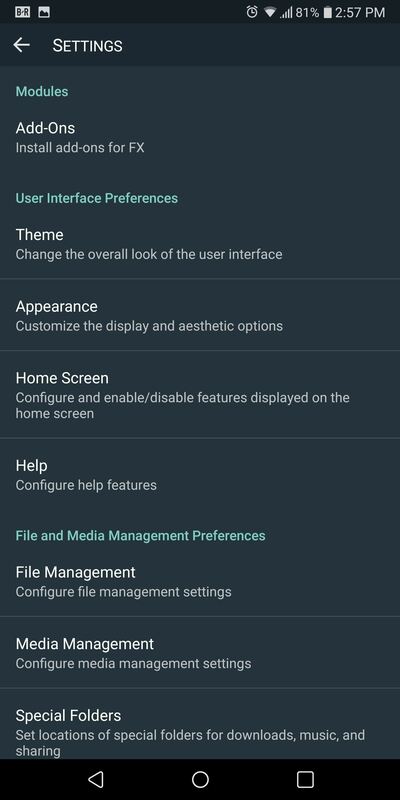 All the file managers listed here are significant upgrades over Android's built-in file manager, providing a much more functionality. Although we listed MiXplorer as our winner, FX File Explorer might even be a better choice for less advanced users thanks to its straightforward and clean design. 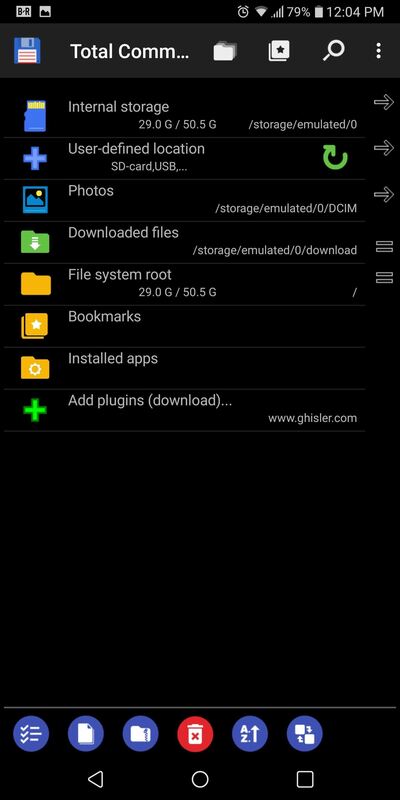 After reading this list, there is no reason to settle for the preinstalled file manager that comes with most Android skins. 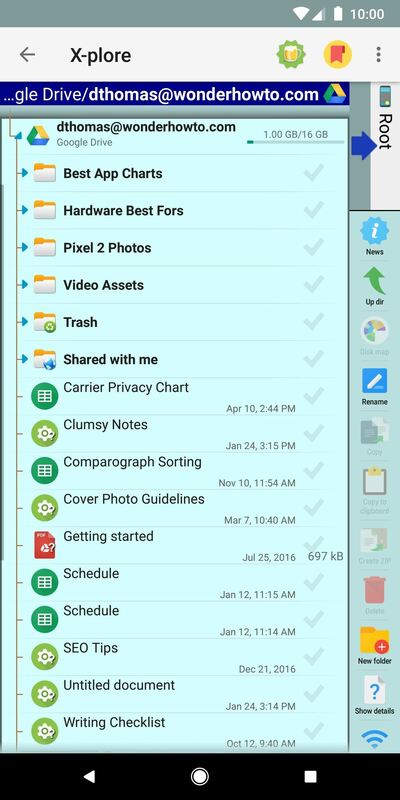 With the file managers on this list, you will have access to more control of your smartphone and be able to transfer files to exactly where you need them. Which file manager did you choose? Let us know in the comments below.